As if I don't rave enough about Workshop Wednesdays, here we go again! Nicole hosted one of the first WW's and impressed me with her incredible skill, organized workshop, and easy going attitude. Immediately, I started following her on instagram and loved watching her ig stories and seeing the incredible projects she has cooking up! 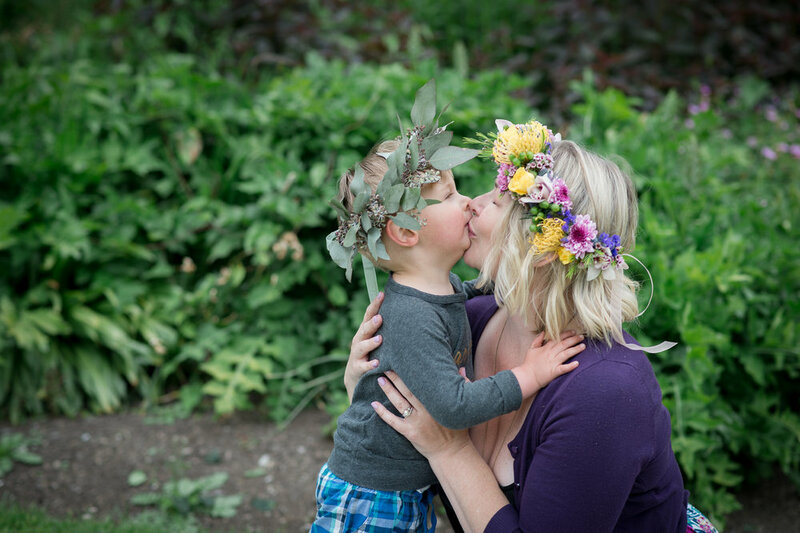 In my heart, she is the flower crown queen of Vancouver, and when we decided to do a branding session, I knew it just had to be about her beautiful crowns and surrounded by greenery. Stanley Park was calling us, so we went out on a tricky day - it was cloudy and rain was possible, but pushed through! Before the shoot started, we had our own adventure as Nicole's keys tried to run away through a grate, but luckily humanity proved to be wonderful and some tourists helped us get it out! It also gave me some precious bonding time with Nicole's adorable son, Harrison! 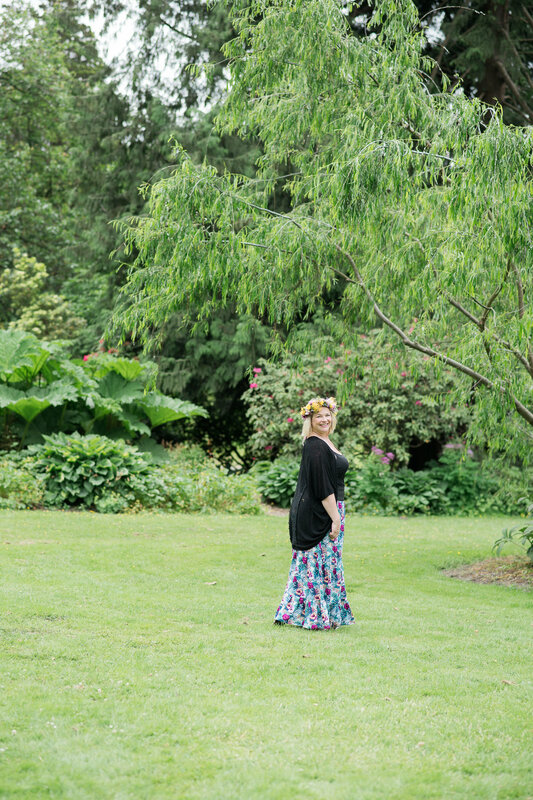 Once all of that was taken care of, we settled in on this beautiful patch of grass and Nicole made one of her ethereal creations right in front of my eyes! 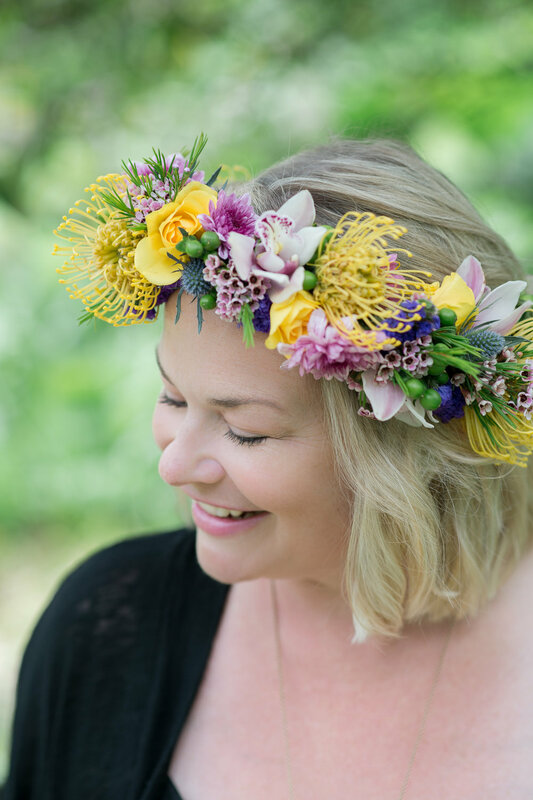 It was amazing to see the process behind a flower crown - the love and care, and design eye it takes to make it look luscious and full, but not overbearing! Harrison was with us the whole time, and gave some sweet kisses to mama and let me snap him running around the park! He is mega sweet and will be a heart throb when he grows up! The day started off pretty hectic, but we pulled it all together and it was magic to capture Nicole in her element doing her thing! I can't say it enough! 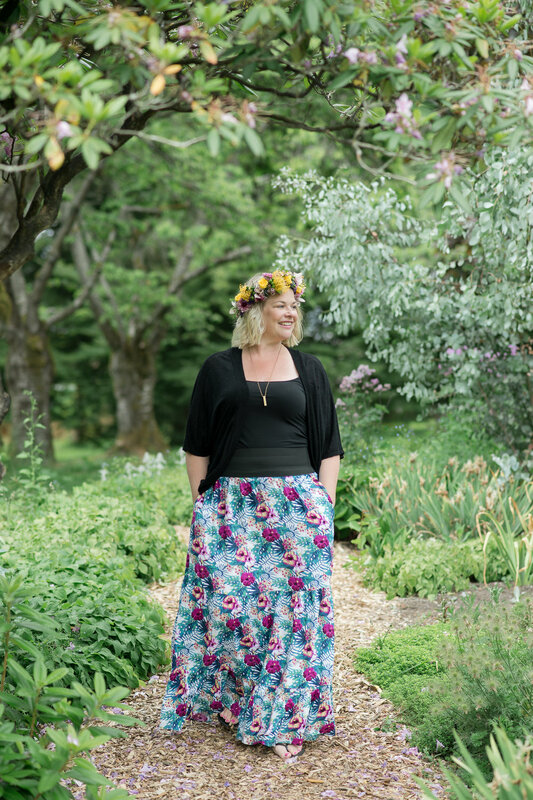 Nicole is absolute magic with flowers - from bouquets, flower crowns, boutonnieres, and your wildest wearable flower dreams - she's the lady to go to!